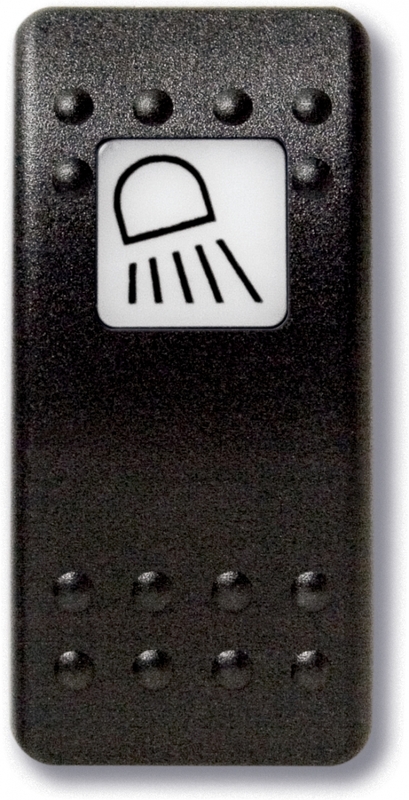 This weather-resistant control button from Mastervolt, made of polycarbonate composite, can be easily clicked onto the base waterproof switch. There are more than 60 different pictograms/symbols in stock. A key for removing the control button again is also available (the control button remove key).